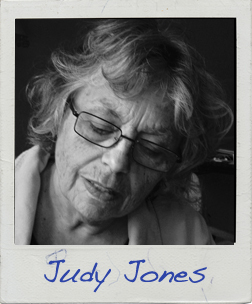 Judy Jones was once an adventurer, traveling in disguise as a college professor in places such as California, New Hampshire, Illinois, Macau and Beijing, China. Now, as she lives and breathes the troubled air of Mishawaka, Indiana, her travels are inward and follow a path from various inner realms to a page. For a while, she told the truth in poems and prose, but has begun to realize how much fun writing can be when she lies. Politicians do it all the time; so, why not? Fiction beckons her. Read the first page of Judy’s story!